Some shows simply didn’t live up to expectations. Alt J’s show at the Forum was hyped beyond belief and, whilst enjoyable enough, never reached the levels it should have. Savages also delivered a lacklustre set devoid of any stage presence, HTRK barely showed up to the Hi-Fi for their high on smoke low on interest set, and, like Alt-J, The War on Drugs didn’t hit the levels of the last time I’d seen them with a flat midweek opening show at 170 Russell. In the big-mainstream-show department, Bruno Mars also missed the mark. There’s always shows that don’t fit into the 10 slots settled upon. St Vincent’s show at Howler would have made most other year’s lists. Twenty One Pilots showed that, even with a patchy recorded output they can still deliver on the live stage, Ball Park Music never disappoint and are one of the hardest working local bands going around (they also gave us one of the sets of Splendour in 2014). Queen and Adam Lambert surprised with a show that was in no way a dialled in grab for cash, and the little ranga, Ed Sheeran gave a group of lucky fans a treat with a set at Ding Dong Lounge. At the very same venue, Glass Animals would deliver a brilliant Aussie debut performance back in April. None of these made my top 10, so hopefully that’s an indication of the quality of those that did. Or my poor taste. Yes, their sound is derivative. Yes they only played a short set. Yes they only have one album to their name. 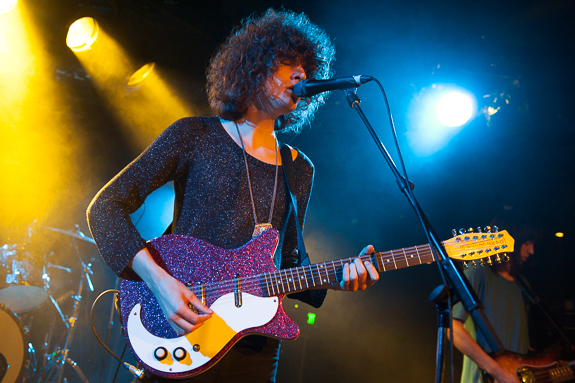 Despite all this, the lads from Temples deliver one of the great sets of 2014. The Corner almost seems too rough around the edges for the glittering psychadelic glam served up, the lush sounds from debut album Sun Structures were replicated beautifully. Hopefully the band that hail from Kettering in the UK are able to back up their stunning debut and tour with something of equal quality. You don’t attend an Elbow gig, rather it’s a case of Guy Garvey and his friends inviting you over for a brew and a chat. 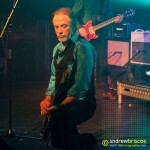 Staples on the UK festival circuit for years, and frequent visitors to these shores, the Mancunians again showed why their live show surpasses even their best recorded offerings. Their songs build, with Garvey imploring the crowd to join him (they constantly oblige) and the sound at The Forum delivers where their last tour – which stopped off down the road at Festival Hall - couldn’t. 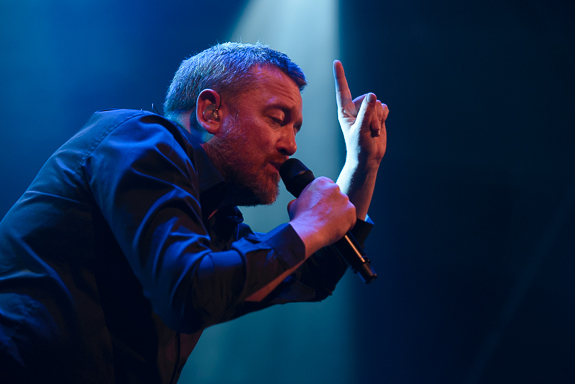 Elbow may be too mellow for some, but how anyone could leave the venue tonight without closer One Day Like This swimming around in their head would seem a mystery. You may not have expected this. I didn’t expect it either. When 90s storytellers Things of Stone & Wood announced they were heading back out on the road again, many with just a passing interest in the band may have remembered the D-Generation’s parody of their 1995 hit Happy Birthday Helen more than the band themselves. Though for those present tonight who made a TOSAW gig a weekly social club at the Prince Patrick in the mid-90′s, this was something akin to a reunion. With long time partners in crime Gentle Persuasion opening up for them after a 20 year break of their own, you’d be forgiven for thinking you’d stepped into a DeLorean with a flux capacitor. But see, I wasn’t one of those who’d been there in the 90s. I’d never seen either of the bands live before, let alone on a weekly basis, so to these ears it was new. The quality of the songwriting and authenticity of the delivery made it easy to delve into the ‘why aren’t there many bands doing this anymore?’ files. Incredible energy from the crowd – most of whom had called in the babysitters for the night – made this an unforgettable night. The Smiths. so often namechecked by, well, any band wanting to list a mid 80′s influence with some credibility. There wasn’t a lot to choose from, to be honest. 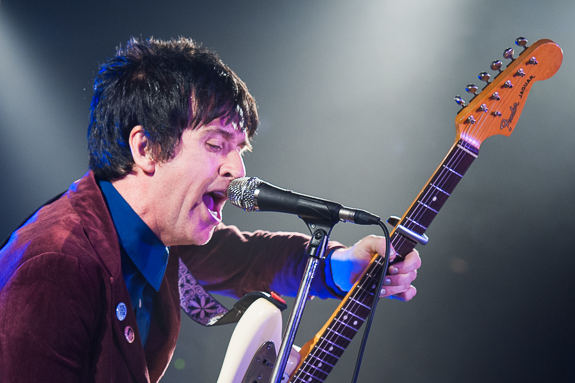 Whilst frontman Morrissey had toured a month earlier, the musical genius of the band, Johnny Marr, extended his Falls Festival trip for an adoring, yet not quite at Morrissey fan levels of nutcase-ness crowd at The Corner. 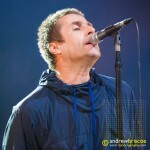 With his own songs sitting perfectly alongside some Smiths classics, and delivered with charm and a laugh, this was a brilliant set by one of the most influential musicians of the last 30 years. Rough around the edges, shy, musically messy, but with something. That was the Arctic Monkeys back in 2006. That band is almost unrecognisable from the slick crowd controllers of 2014. 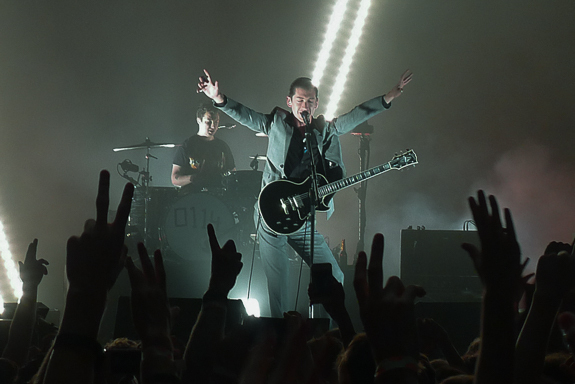 Lead singer Alex Turner still looks like he just walked out of a garage, but rather than his own in Sheffield, it’s more likely Elvis Presley’s from the 1950′s. None of that means a thing if you haven’t got the tunes.Thankfully the Monkeys have them in spades, and take us through a set heavy on latest album AM but with plenty of tentacles back into each of their albums. One of the biggest live bands on the planet in 2014 show no signs of slowing up. 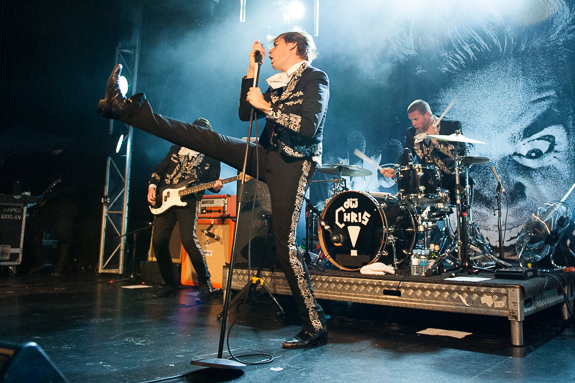 If you’ve never been a Hives show, go to a Hives show. There’s little in the way of words that can do justice to the energy the Swedes bring to the stage. 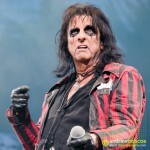 You dare not not get involved, lest be made an example of by Howlin’ Pelle Almquivst. In town for the Big Day Out, replacing late withdrawal Blur, those quick enough to snap up tickets to their show at 170 Russell (nee Billboard) were treated to 90 minutes of pure Hives. 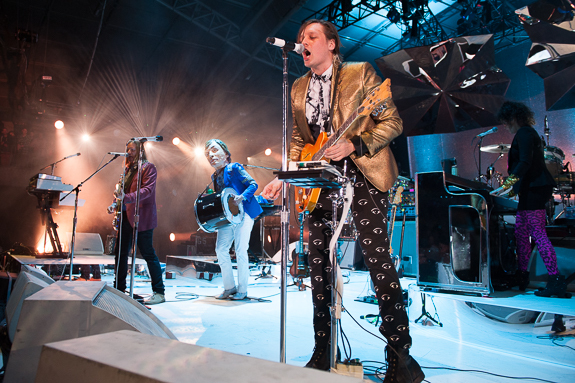 Almost 6 years to the day since the Canadian travelling circus last toured these shores, Arcade Fire lit up the Sidney Myer Music Bowl with their own brand of instrument swapping madness. Though more ‘businesslike’ than back at the Forum in 2008, this first full Reflektor tour show was still everything you’d expect from the 7 + 2 piece. 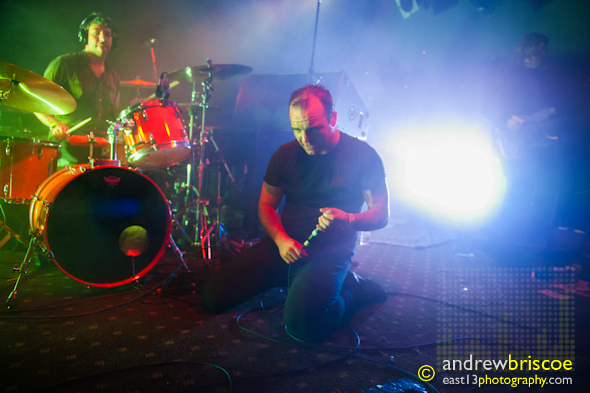 Before Splendour in the Grass threw open its stages, a few bands treated those lucky enough to snag a ticket to the Northern Hotel’s pre party to some gold. 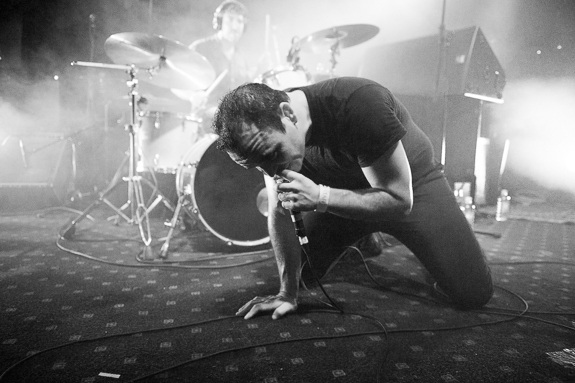 Whilst not headlining – and as good as Interpol were – Baltimore’s Future Islands were top of the list. 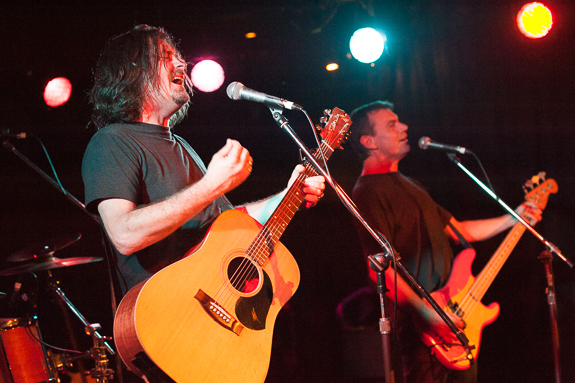 The madness, stage presence and delivery of frontman Samuel Herring got this band to “overnight Youtube sensation” status after years of hard work touring. It’s a mystery as to why it took so long. Pleading, screaming and growling at the audience, coupled with genuine love for the reception received made this one of the most transfixing performances of the year. The music too was brilliant, never overpowered but accentuated by Herring’s incredible performance style. Devastated. I don’t think that’s too strong a word to use when describing how the news of Blur’s Big Day Out cancellation was received in this house back in January. There are bands you love, and then there are bands you really love. 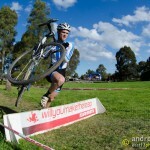 Blur – well they clearly fall into the latter category. 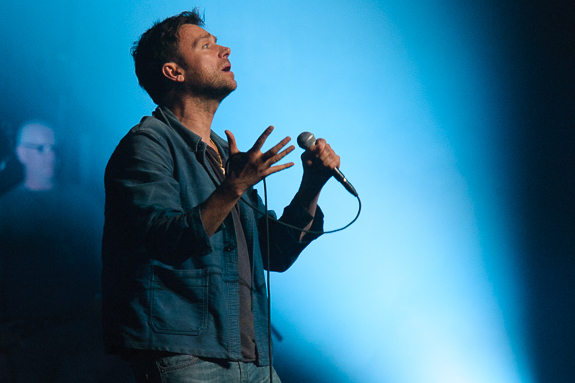 When frontman Damon Albarn dropped his solo album Everyday Robots, and followed it up by announcing that the tour would not only find its way to Australia, but conclude here, it was some consolation. From the moment Albarn’s band The Heavy Seas took to the stage at The Palais, that sulking of January was replaced by the excitement of seeing one of the greatest artists of our time. Gorillaz songs sat alongside The Good, The Band and The Queen. Ukelele based gospel songs, delivered by a Tasmanian choir about a baby elephant followed beautiful versions of Blur classics like Out of Time and End of a Century. Albarn can do that. Perhaps Blur won’t be back, but if Damon’s true to his word, he will be. That’s something to look forward to. It would take something special to keep Damon Albarn from number 1, but in the interests of not sitting on the fence, The National‘s show at the Sidney Myer Music Bowl back in February was that gig. After a low key start, it’s a gig that builds and builds to incredible climax, much like the individual songs themselves. 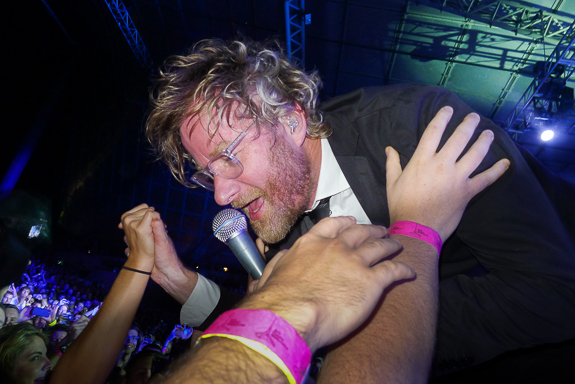 Matt Berninger smashes wine bottles, circumnavigates the entire crowd (without a wireless mic…), walks over the front rows and leads an acoustic singalong of epic proportions to close the show. All of this while delivering the twisted lyrical ideas set against some of the more twisted musical rhythms out there at present. Easily one of the hardest years to pick a favourite, but The National, feel free to give a short speech before the band play you off to a commercial break. That’s how I saw 2014. With 2015 already seeing a return by Johnny Marr, The Black Keys and everyone’s darling Taylor Swift, the bar has been set pretty high. 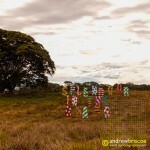 This entry was posted on Monday, December 22nd, 2014 at 1:18 pm. It is filed under Best Of..., Features, Not For Sale. You can follow any responses to this entry through the RSS 2.0 feed.